I know everybody and their mother seems to know and rave about batiste dry shampoo, however, i was one of this people which apparently were living under a rock and never used dry shampoo. I can not really explain why, i guess i just never felt the need for it. I have quite thin hair and i never been really happy with it. I always thought that was just a given and something i just had to live with. Damn genetics. When i got older i started to become more confident and i realized that beauty is not something one is born with necessarily but something you can achieve to some degree when you put the work in. There is a reason why millionaires daughters usually look good (beside the fact that some millionaires obviously marry models). They have the time and the money to invest into their beauty. Now i have no time and just a limited amount of money, so i try to make up for it by doing the research and figuring out things by myself which mrs millionaire probably gets done by stylists. And it turns out, there is a lot of room for improvement even in my budget and a huge market accessible to me which comes up with new great things every day. One of the major things i find beautiful in other women is their hair. For me great hair makes or breaks a look. So i declared war to my unruly thin hair. 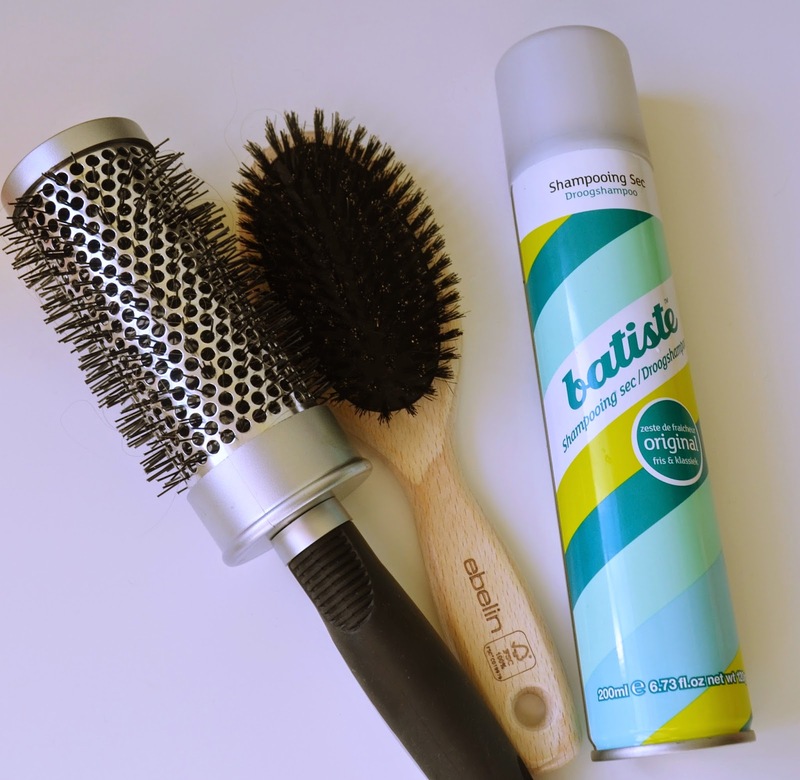 Why should one use dry shampoo? Because constantly washing your hair is bad for you hair. Actually i read ages ago when i was like 13 a book about horse care and they said that you should not wash your horses hairs to much or brush it to much because it would thin it out. Apparently i figured that out for horses before i figured that out for myself. But isn't that digusting because dirty urg? I do not know what you are doing with your hair but i do not throw it in the dirt or swoosh it over the train toilet, so my hair does not get exposed to a lot of baah stuff. Your scalp is indeed producing some oils which will make your hair greasy on the long run but this is actually good for your hair and nothing disgusting about it. Obviously i still wash my hair twice a week atleast and the rest of my body daily, but your hair is really not such a dirty place. Is dry shampoo difficult to use? No it is the easiest thing in the world. I usually section my hair off with my fingers and spray it into the roots of my hair. I do not spray it on the ends since those tend to be dry anyway. I then massage the shampoo a bit in and brush my hair again. Done! It is really fool proof. I have introduced since my own convertion a lot of other people to dry shampoo and it worked great for all of them. Even my hubby started using it regulary. Other advantage of dry shampoo? Atleast the batiste dry shampoo doubles for me as a styling product. It gives me added volume and makes my hair more manageable. I even use it when my hair still looks rather fresh because when i am out all day and exposed to weather it keeps my hair looking fresh. My addiction to hand lotions: winter stash.